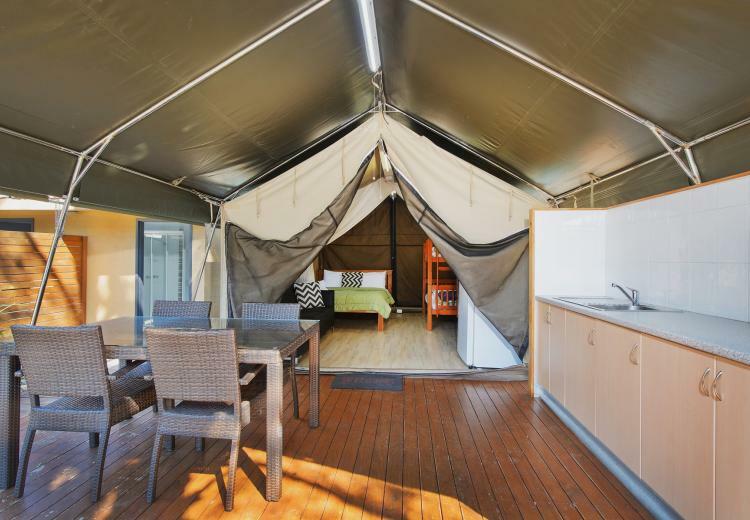 Glamour camping – at its best! 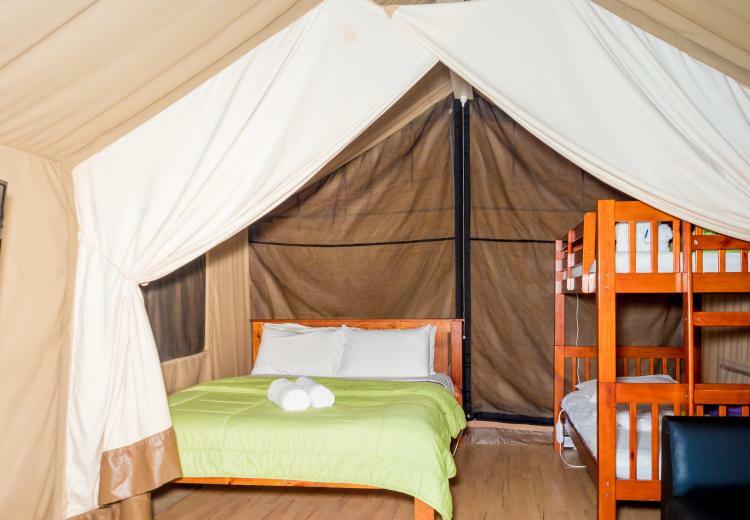 These safari tents provide you with the experience of camping, but with the added luxuries. 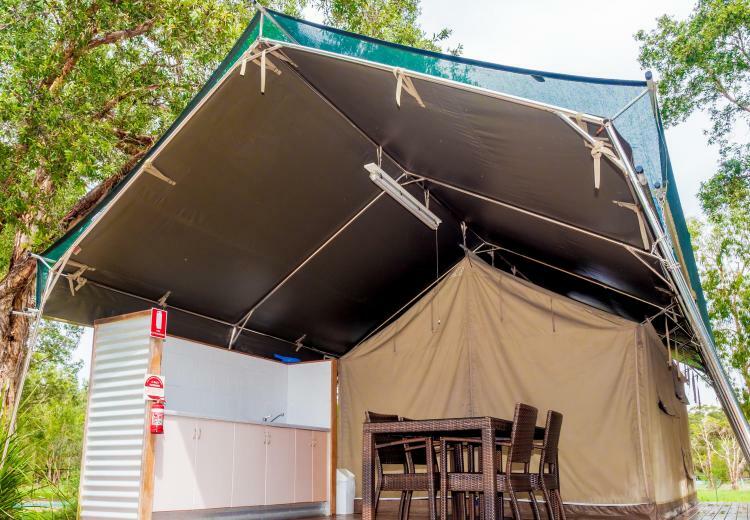 It sleeps up to four guests, and has a fridge, microwave and outdoor food preparation area with crockery and cutlery provided, as well as an undercover veranda. 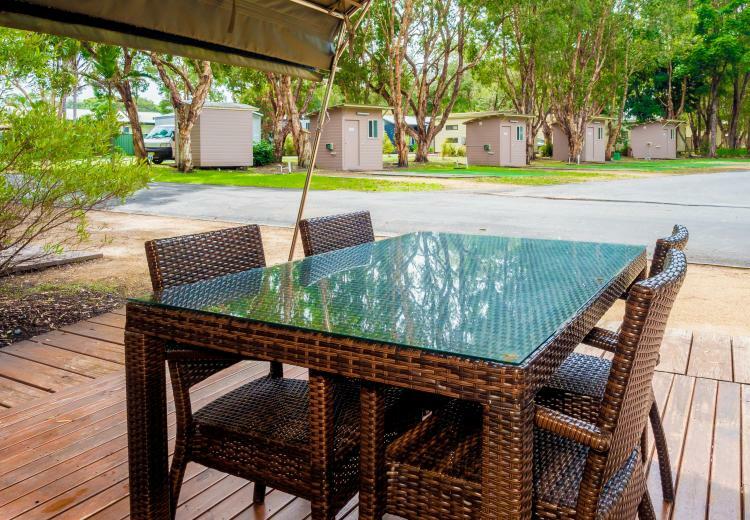 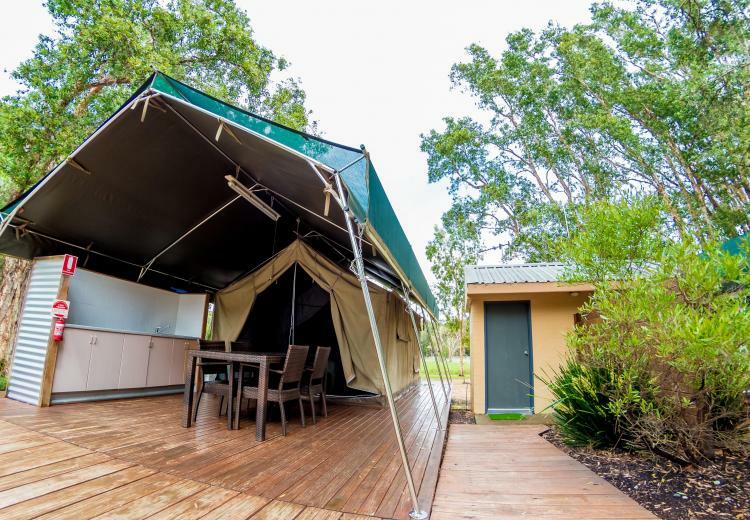 With an adjacent external ensuite bathroom, our safari tents provide a unique holiday experience for those looking for something different.